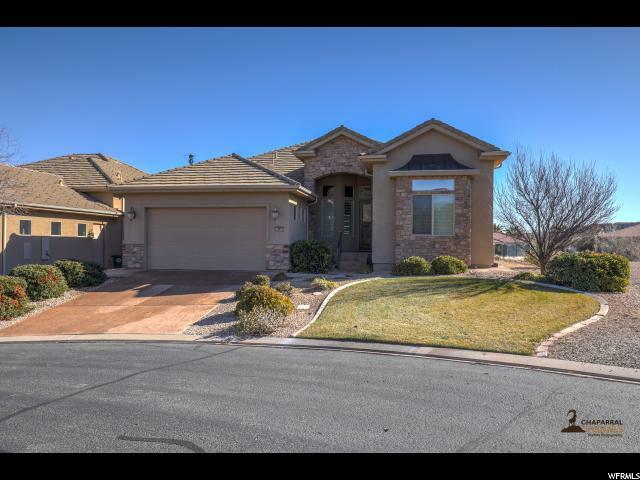 All BRIDGEWATER TOWNHOME homes currently listed for sale in St. George as of 04/25/2019 are shown below. You can change the search criteria at any time by pressing the 'Change Search' button below. "The most incredible tee box in all of St George is the 5th hole of the Woodbridge 9 at Sunbrook. This home sits and enjoys all of its imminence without risk of golf grenades. A quiet small community of homes this home stands out as one of the best. Amazing entertaining space, easy living on the main floor with a wet bar and plenty of room for short or long term guests down below."